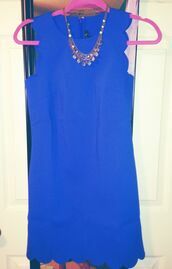 A royal blue dress can be long and elegant for those events when you need a little extra polish. There are summer styles, which feature backless and open back options so that you don't get too hot, especially if you plan to dance the night away! Some styles are made for ballrooms, and others are striking in their color and cute in their cut and hem. 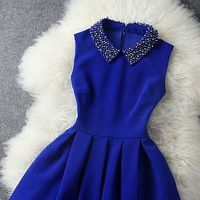 Although summer can be a time of the year for cool colors, don't be afraid to stand out and show off your personality with a royal blue dress.